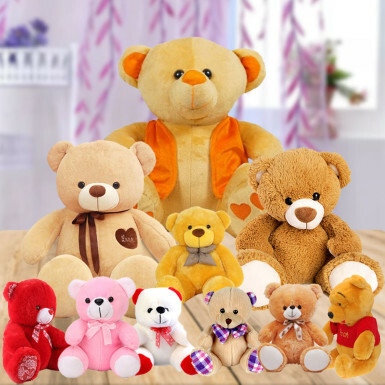 Give your loved ones a bundle of joy by sending this fantastic combination of teddies. Tell them you truly care for them by presenting these heart-throbbing teddies. Teddies are the way to create some blissful memories in the life. So, send these gorgeous teddies to the doorstep of your loved ones from Winni to create unforgettable memoeries. Note: The color of the teddies may vary as per the availability.